The 'baroque collective' Solomon's Knot have resuscitated an opera unperformed for some 350 years and brought it, via Aldeburgh’s Open Space residency programme, to Wilton’s Music Hall in the East End (seen 17 November 2015). Naomi Matsumoto of Goldsmith’s, University of London, rediscovered the score when researching for her thesis on the origins of the operatic mad scene. 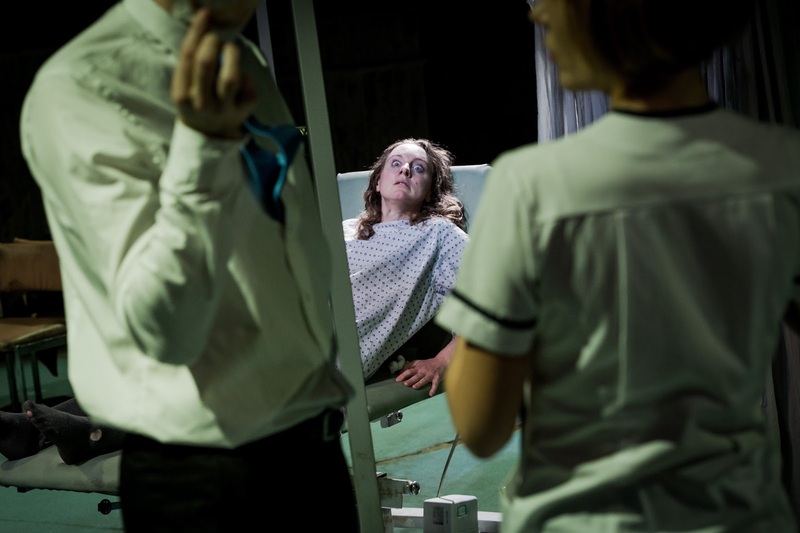 She and Solomon's Knot have created a performable work that resonates for today’s audiences sold on the notion that we are own best doctors – until something goes wrong, and then we are at the mercy of expensive and charismatic doctors. 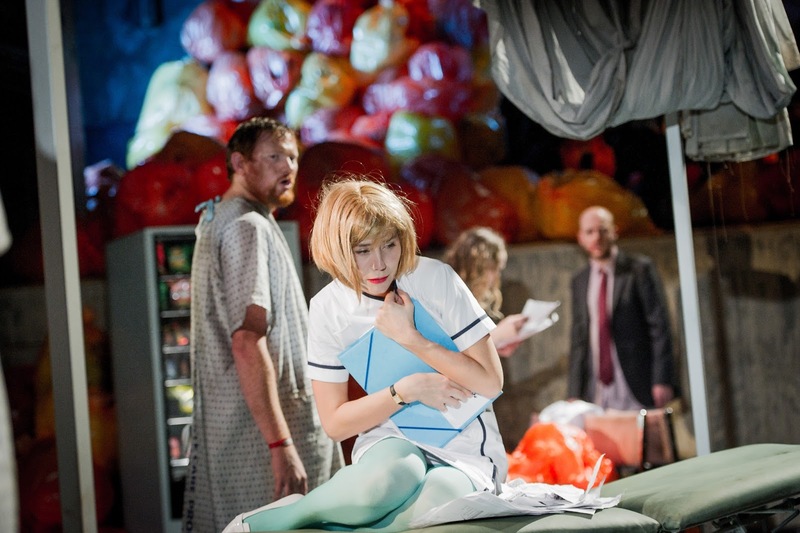 Directed by James Hurley and conducted by James Halliday, the cast included Jonathan Sells, Rebecca Moon, Thomas Herford, Michal Czerniawski, Nicholas Merryweather and Lucy Page. It is thought that L’ospedale was intended for small private gatherings at court or of academics. The libretto by Renaissance Italian satirist Antonio Abati is full of puns and the music, by an unknown composer, has been supplemented for this production by two madrigals by Gesualdo. The space at Wilton’s was ideal acoustically and in terms of the intimacy it offers. 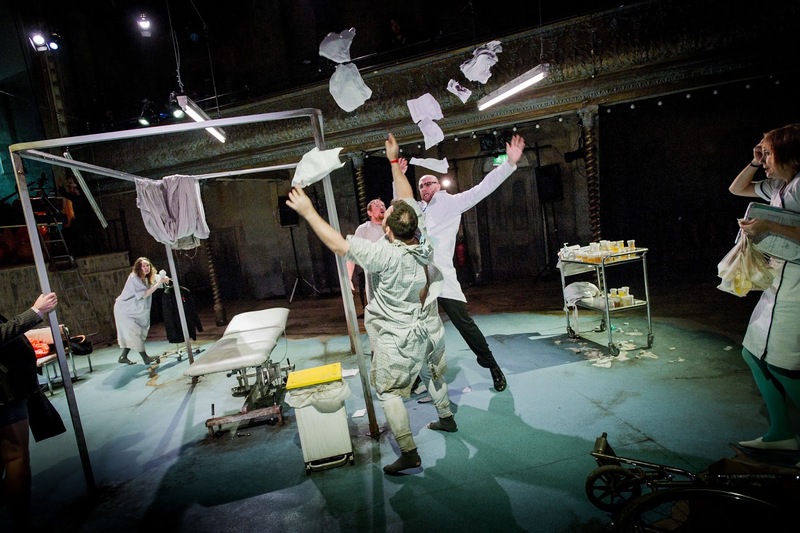 The six-piece band (strings and continuo) led by James Halliday was raised high on the Wilton’s stage with the action taking place on the flat, the audience seating on two sides around a hospital bed exposed or hidden by a curtain. Everything looks a bit grubby. A hospital vending machine sells unhealthy snacks. It certainly felt immediate. And recognisable to anyone who has been inside a hospital. The action of the opera is framed by spoken recordings over the PA from the allegorical figure ‘Health’, first touting platitudes about the importance of exercise and personal responsibility, and later patronising the frazzled medical profession. 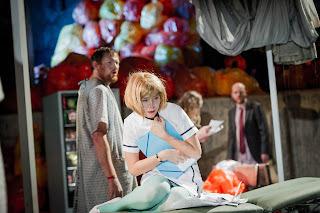 We see four archetypal patients of this messy hospital: Innamorato (Rebecca Moon) is the woman with a pain in her heart from unrequited love, the cocaine-tooting Cortigiano (Thomas Herford) has a pain in his chest from workplace-induced stress, Matto (Michal Czerniawski) is the mad one and Povero (Nicholas Merryweather) has a pain in his wallet, too poor to afford healthcare. Lucy Page is Forestiero, the all-seeing beleaguered hospital worker and Jonathan Sells the insincere, poppy-wearing and non-stick doctor. Musically the piece felt tight and the storytelling very compelling as a result. The six voices were distinctive and well-characterised and worked best in the ensembles, especially the madrigals. The Gesualdo pieces fitted the mood perfectly with their hypnotic repetitions and disturbing harmonies. 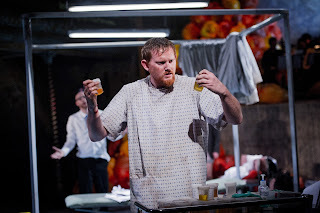 They also gave us a rest from the surtitles which, while appreciated, did at times feel overly preachy – perhaps inevitably, as editorial choices had to be made with such a rich and clever libretto. Health and mental health have provided rich pickings for opera composers and directors for a long time. The questions we ask today: How do we pay for healthcare? Do we trust the medical profession? Have we brought our problems on ourselves? – they were being asked on the operatic stage since the early days of the art form. I hope Solomon’s Knot are able to take this show further afield, especially to those who still doubt the relevance of opera.